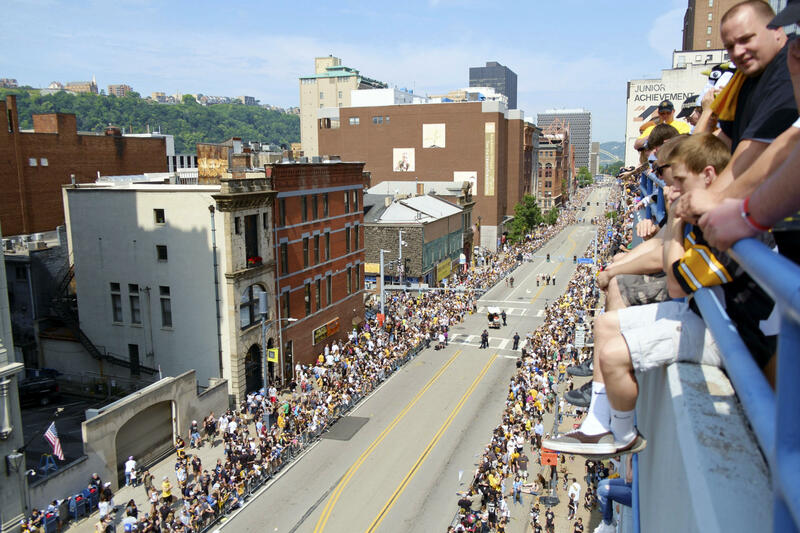 Fans cluster along all five levels of a parking garage on Boulevard of the Allies to get a good view of the Pittsburgh Penguins' Stanley Cup celebration parade on Wednesday, June 15, 2016. The city is preparing for hundreds of thousands of people to flock to downtown Pittsburgh to celebrate the Penguins’ Stanley Cup win. Road closures will begin at 9 a.m. Wednesday, with the parade starting at 11 a.m. It'll kick off on Grant Street and continue down the Boulevard of the Allies, ending with a rally at Point State Park. Pittsburgh communications director Tim McNulty said the city is mainly concerned with keeping spectators safe. More than 400,000 Pens fans attended last year’s parade and the city expects this year’s celebration to meet or exceed that attendance. 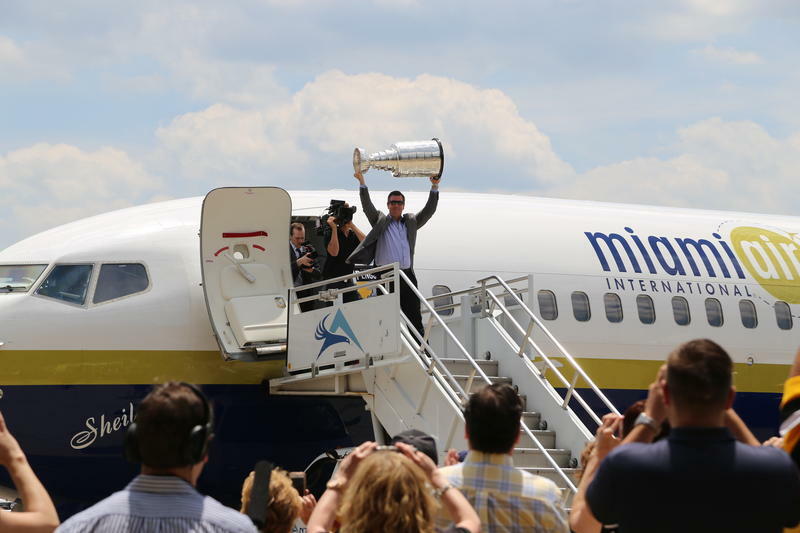 McNulty said the city has been lucky in getting to celebrate back-to-back Stanley Cup titles. Using last year’s plans as a guide, the city decided to change the rally point to the city side of Point State Park. “The old staging area at Stanwix Street and Boulevard of the Allies would often get a little bit too crowded, so we’re hoping this will open up to give people a little bit more freedom,” McNulty said. McNulty said plenty of emergency responders will be on hand -- especially with more extreme weather expected this year. “It’s going to be about 10 degrees warmer than last year and even last year we had a great number of medical emergencies,” McNulty said. In a tweet, Pittsburgh mayor Bill Peduto said that having the parade Wednesday was based on players’ availability. People. People. People. C'mon. Scheduling is based on TEAMs availability. Players leaving Thursday. Public Safety top concern. Bring poncho. The city expects to have roads reopened to traffic by mid-afternoon Wednesday. 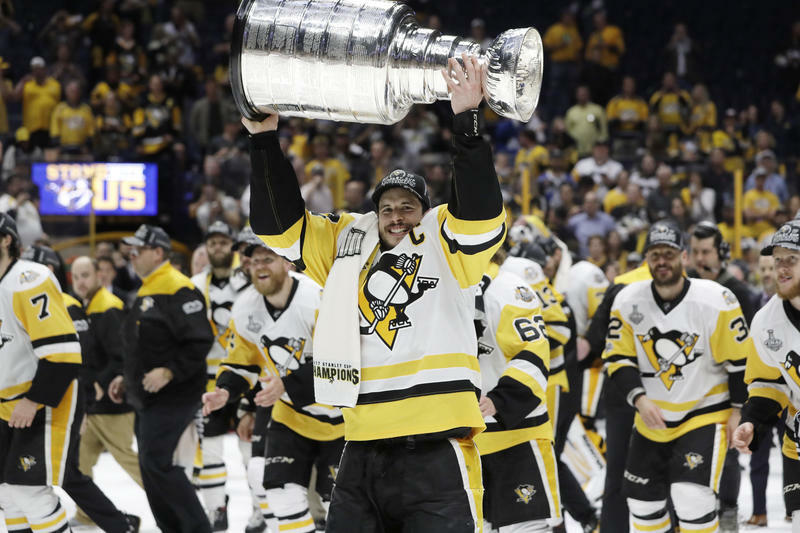 The Pittsburgh Penguins received a warm welcome home Monday after defeating the Nashville Predators in Game 6 of the Stanley Cup finals. It'll be tough to top this. Sidney Crosby was awarded his second consecutive Conn Smythe Trophy as the MVP of the Stanley Cup playoffs, and goalie Matt Murray made 27 saves for his second straight shutout as the Pittsburgh Penguins became the first team to repeat as champion in nearly two decades with a 2-0 win over the Nashville Predators in Game 6 on Sunday.